Lesjöfors Tinglev is certified according to ISO 14001:2004 and we work continuously to reduce our impact on the environment. The past couple of years we have especially focused on our power consumption. * Recently we have modernized our premises; all our windows are replaced by the newest low-energy windows. We have also put in extra insulating material in the building where necessary. - reducing the need for compressed air in the processes etc. * All our employees have training in environmental and energy improvement in the industry, which helps us all to think in energy saving and improvement terms. Often improvements come from the people within the production. * Our stock is moist controlled, which is an essential way to save resources. Extra corrosion protection, i.e. oiling the springs, is necessary otherwise and implies that the customers have to wash the springs before using them. We have now a new facade on the building, giving it a warm and modern look with new windows. 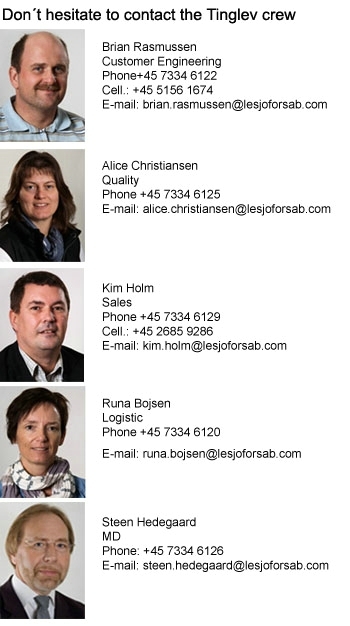 You have now received a newsletter from Lesjofors in your e-mail. We are sending two newsletters per year where we introduce you to our products and services, comments on the market and other news which are good to know about Lesjöfors Tinglev. 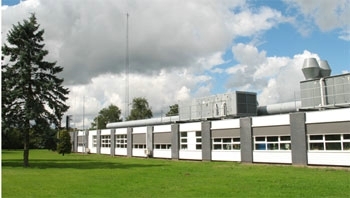 The next Spring Seminar will be held on September 26th 2011 in Tinglev, Denmark. You will have the opportunity to learn more about how to design a spring in the most optimal way. If interested, please contact kim.holm@lesjoforsab.com before September 1. We have just invested in a new coiling machine, FUL 35, covering wire diameters from 0.7 up to 3 mm. It is designed for the production of accurate, low-tolerance tension springs and compression spring bodies with highest output rates thanks to groundbreaking new design features. Fast and easy changeover of cutting types with the aid of the new multi-cut system is now possible. The FUL 35 offers even greater flexibility and user-friendliness. The new PTP 3D coiling finger helps to define new quality standards for the production of torsion springs with tangential and axial bends convert it into a high-speed torsion spring coiler. Shorter setup times, thanks to fast and accurate tool adjustments, are made possible by the comprehensive CNC control technology. Lesjöfors has factories or sales offices in nine countries: Denmark, Sweden, Norway, Finland, Germany, Great Britain, Holland, Latvia, Korea and China. During the past year, Lesjöfors Tinglev has established a production of wire springs, in our factory in China. Therefor we can also now support you with wire springs locally in China.